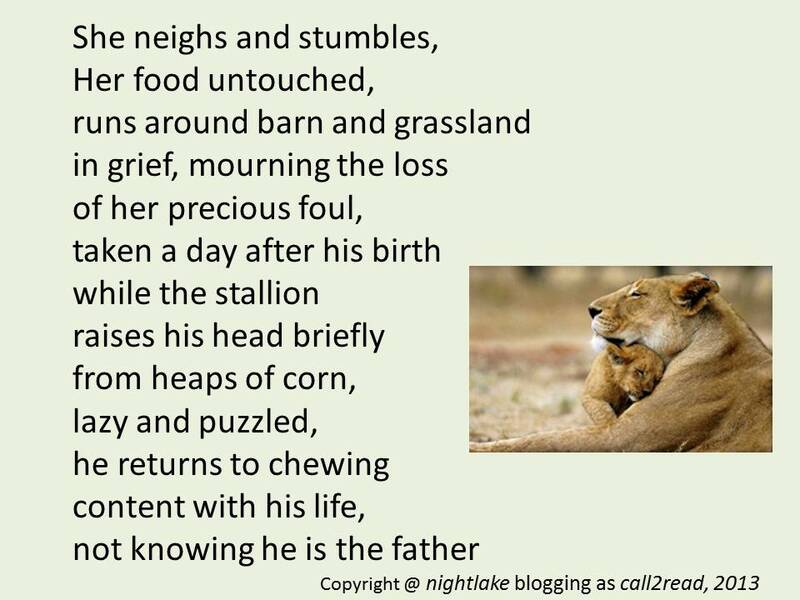 The Prompt Image was > Lioness and Cub. 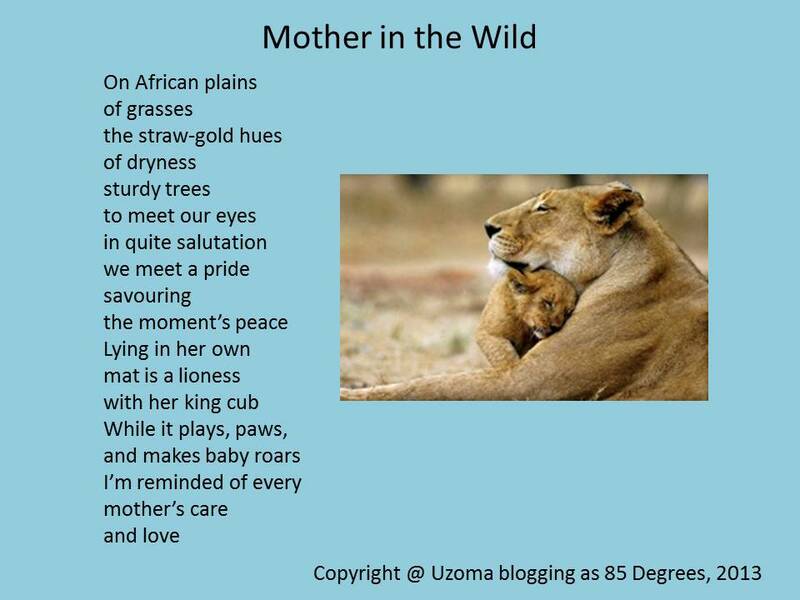 You are all invited to read the different takes – all 55-worders about a lioness and her cub. I received no less than nine (9) contributions! This was after I swept up the first easy four with my post Maternal Instincts. Everyone came in spot-on 55 words! You are invited to take this tour – come along, but do remain within the vehicle and the big cats will leave you alone. First off we have a new contributor, although she is a regular visitor to my blog. 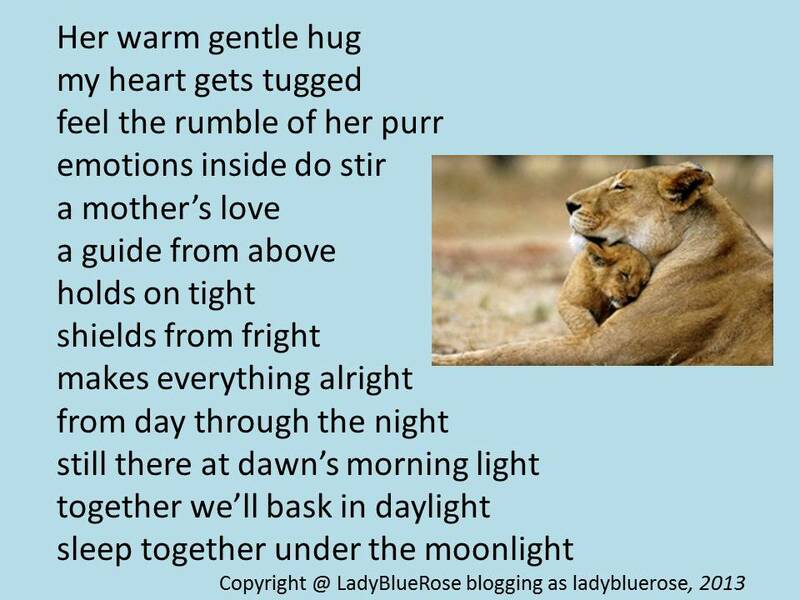 Please enjoy the words of LadyBlueRose blogging as ladybluerose. Next, we have nightlake blogging as call2read. If you are new here, she was my Blog Pick for March 2013. 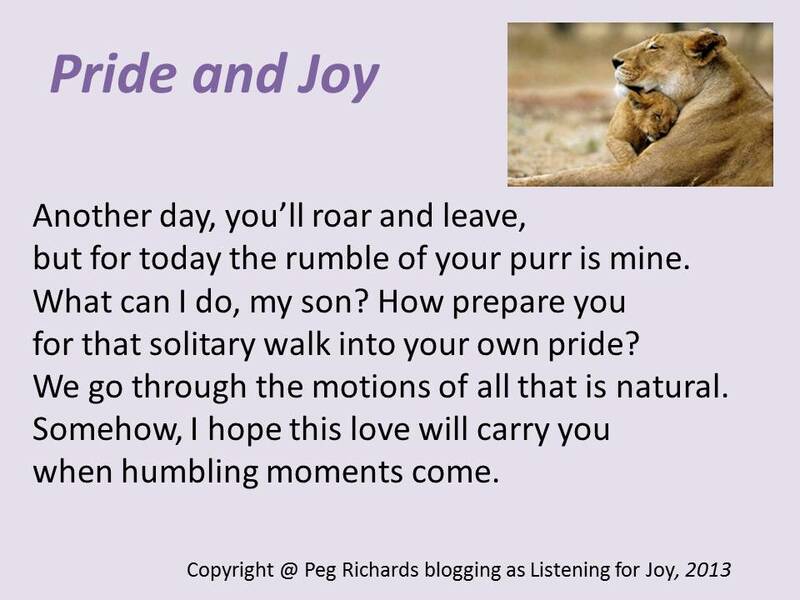 Many of you know Peg Richards blogging as Listening for Joy. Her contribution touches a chord with all parents. I am so pleased and proud that she reposted on her blog Pride and Joy. We have a new contributor. Please join me in welcoming penpusherpen blogging as Poems ‘n Stuff and her take. Richard is passionate about highlighting the ills in society and this is reflected in his blog posts. 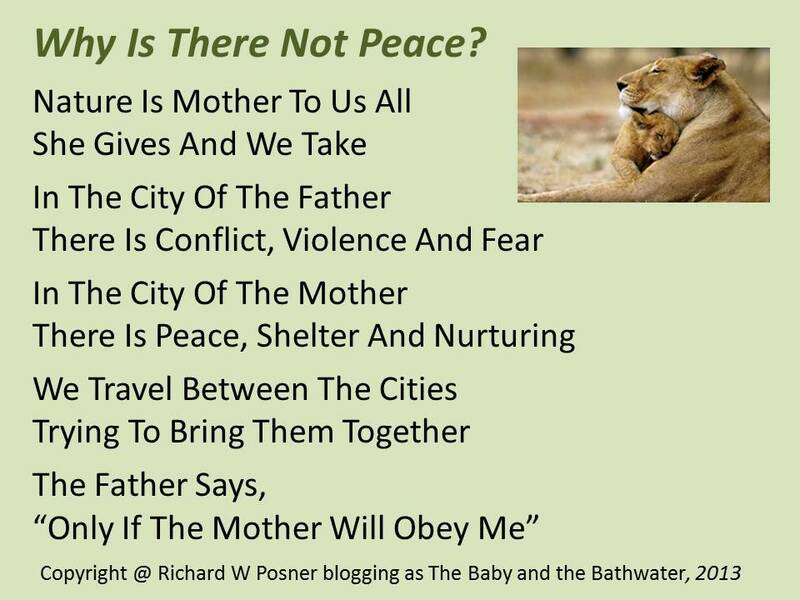 I am very pleased to present Richard W Posner blogging as The Baby and the Bathwater. I’ve been reading Susan’s blog posts for sometime now. She is also very supportive of my blog and here is her contribution – what a trap! Susan blogging as A woman’s view of hunting…with men. I started reading Uzo only recently and was therefore very pleased to have him join us. Please enjoy Uzoma blogging as 85 Degrees. I have been reading the next contributor’s blog for well over a year and she is also a regular visitor here. Please stop a little to relish the contribution from willowdot21 blogging as willowdot21. Last but certainly not the least, Jane Stansfeld blogging as jstansfeld. 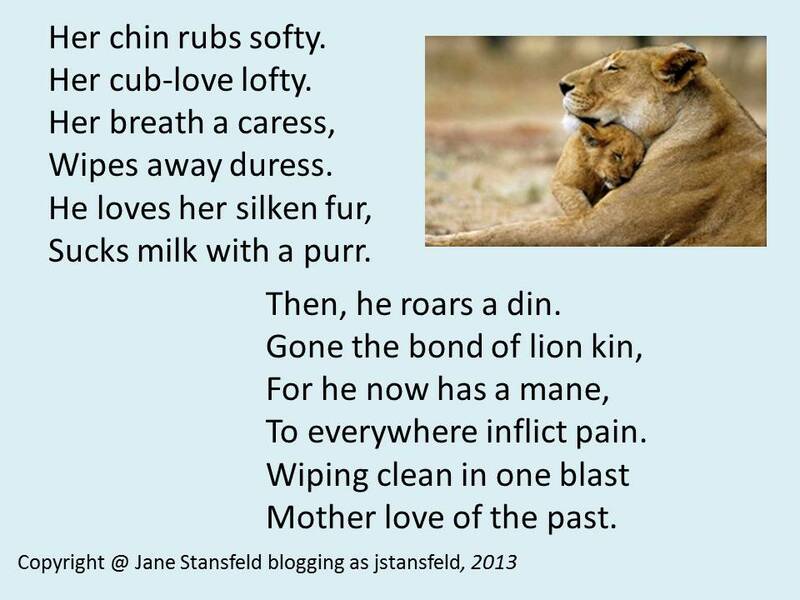 Some of you might recall Jane featured in my post on 1 April. 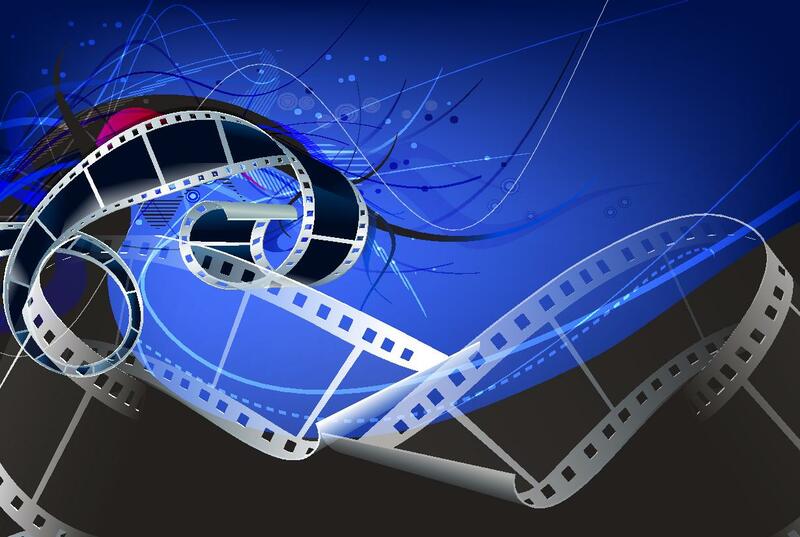 If you missed that, please click on Blog pick for April 2013. We hope you enjoyed this visit. You are invited to join in the next one. All my commenters are very polite and supportive of each other, so, don’t be shy or anxious. I shall return on Thursday 11 April with a new Image Prompt, a 55-word Flash Fiction and some guidelines on how you can showcase and share your talent. Lovely interpretations and lovely words put together to make lovely pieces of writing. Thanks for sharing . Enjoyed too much. people write so well, I feel jealous sometimes. Loved all. I’ve just returned from visiting your blog again – you’re excellent in what you do. Feel free to join in, if you wish. I thought them all good, different and interesting. I love how you bring writers together and offer the opportunity to showcase talents in a very different manner. Thank you Val and glad you enjoyed them all. Yes, a single point showcase has its unique draws. Not sure if this is true but my grandma used to say that no matter how fierce the lions are, they will never eat or kill their cubs – believe some other animals do ?? Then again, could be Grandma’s own documentary show !!! As always, the collections provide varied POV and makes an interesting read. I think the presentation also makes them more captivating. Great post. 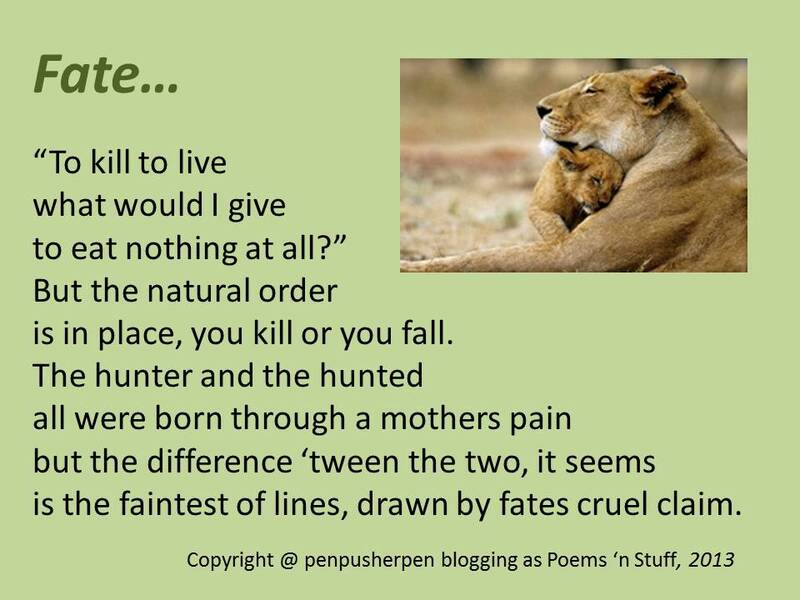 Grandma is right – most lions don’t kill their own cub. 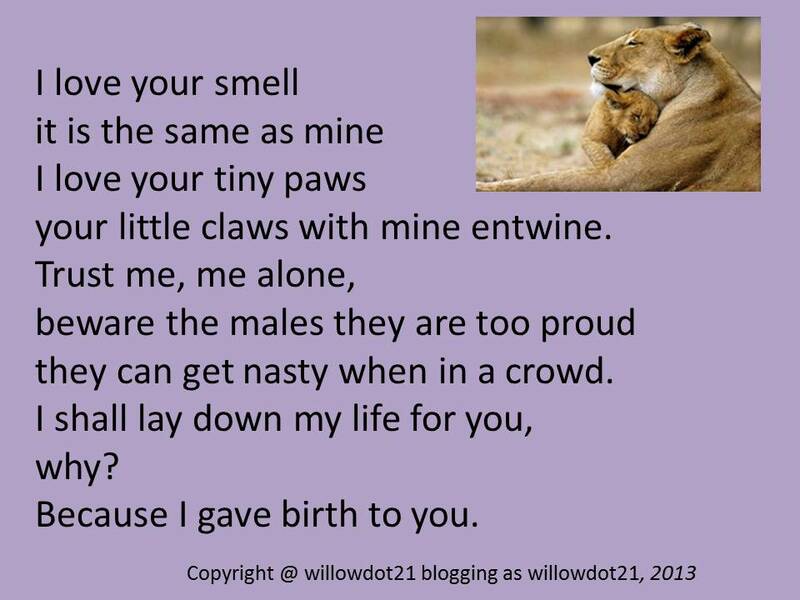 But new pride males routinely dispose of the former male’s cubs. Happy that you liked the collection Jasey – and the presentation. This is a wonderful collection. The photo of the lioness and the cub is beautiful, how loving is this wild animal to its cub!! Thanks! Parental love is a gift. Thank you Justine for your visit and comment. You’re very welcome. It is a pleasure to have the contributors return with a simple note of acknowledgement. Am so very glad you enjoyed the experience. Great stories. Thank you so much for adding mine to the group. 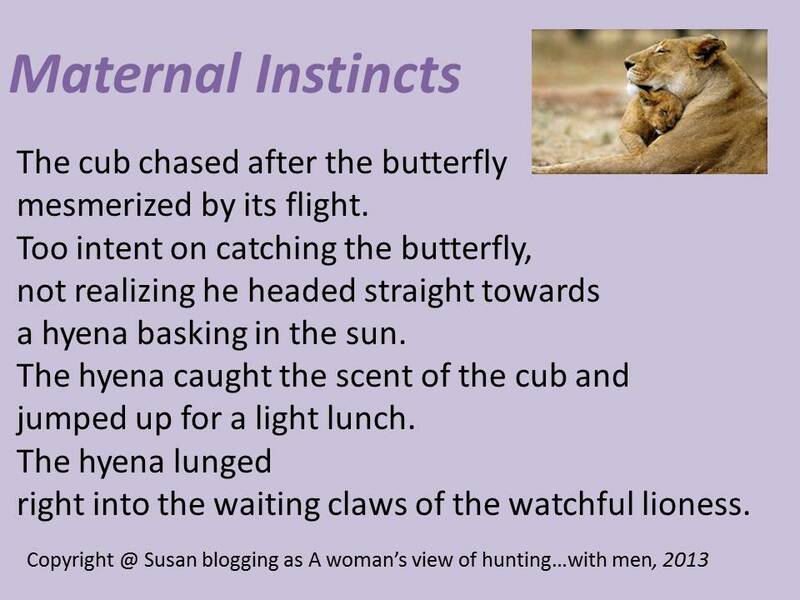 Susan’s lovely descriptive composition certainly was one to invoke the imaginative thought as the lioness waited with a smile as the scavenger you have so described jumped into the waiting claws of that fearsome Hyena killer in the Serengeti that roams free with her cub… Awesome Eric I do love your creative genius! Very interesting indeed…I’m looking foward to tomorrow as well! Thanks so much, Eric. I feel honored that mine is included among this group of quite wonderful poems. Blessings, Peg. You are very welcome and thank you for joining.